Beyonce's release of "Formation" kicked off an avalanche of commentary dissecting every layer of the topics she touched on affecting the Black community. One White woman wanted no part of it. While Kath’s Twitter account is protected, another writer Alysse Dalessandro, (also a White woman), saw the tweet and asked Kath if she could screengrab and post it. Once Alysse reposted Kath’s tweet it spread quickly, with folks of all colors co-signing. It was a bold proclamation for a White woman to make—let the people who are living this song discuss what it means and the impact it has on them. What have you seen in the media that made you even think about “Formation” in this way? Were there other topics you felt White women tackled that perhaps they shouldn’t have? I’ve been a fan of Beyoncé for a long time, and over the years I’ve seen so many think pieces and “hot takes” from White writers—and men for that matter—that just made me cringe with how self-absorbed they were. Plus, I’ve listened to countless women of colour write about how they are sidelined in the rush for White women to publish their hot takes. Can We Talk About the Epic Fashion Moments in Beyonce’s ‘Formation’ Video? Was your tweet was partially tongue-in-cheek? Or do you really think White women can’t write about Beyoncé? Actually my tweet was 100 percent genuine. 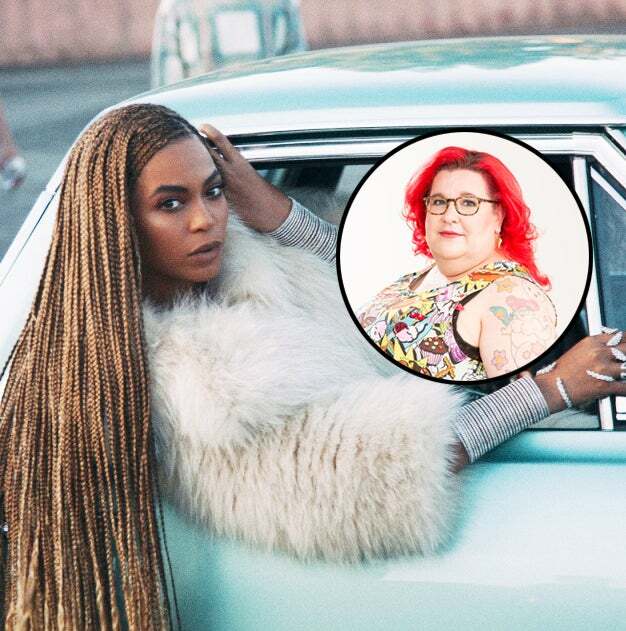 It’s not that White women can’t write about Beyoncé and “Formation,” it’s that they shouldn’t. I really do believe that in the case of this song, what we White feminists think about it isn’t important. If we like the song, then great. If not, it’s not for us, so time to shut up and listen to the people it is for. I honestly believe that it’s time that in situations like these, White women writers do need to step back and shine a spotlight on the work of women of color. Being a writer I know lots of writers, and I hoped to reach them with that tweet. This video is such a hot-button treasure chest of issues: feminism, activism, sexuality, police brutality, governmental racism. It’s a lot to unpack. Is that part of the reason why you urged writers to allow Black women to handle the commentary and think pieces on this? No not at all. I’m not afraid to delve into the tricky issues—as an activist I consider that’s my calling. My intention is to urge White women to allow Black women to speak about art that belongs to them. “Allow” is the wrong word though, it’s not White women’s place to give “permission” to Black women… I guess I mean make space? Hand over the stage/spotlight? Take a seat and let someone more relevant to speak? Beyoncé didn’t make this song for me—except maybe to LISTEN and LEARN. Kath is a fat activist and feminist based in Australia. She writes about fat acceptance and politics on her blog.